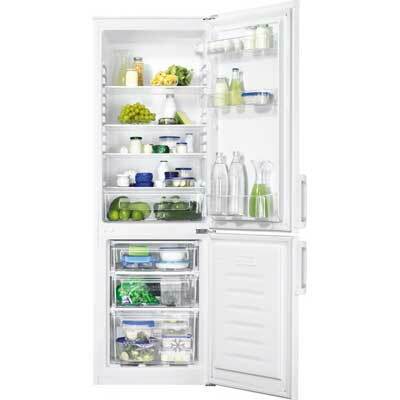 Fridges and freezers are on all the time and can use a lot of energy. If you are buying a new one make sure you get an energy-efficient model. If you have an old (over 10 years) fridge or freezer, it could be cost effective to replace it, as energy efficiency has improved 25% since 1990. But don’t be tempted to keep your old appliance as a “second fridge/freezer”. All fridges and freezers sold in the UK are required by law to carry the European Energy Label, which rates their efficiency in energy use. Fridges and freezers account for 17% of all domestic energy used in Britain, and choosing an efficient model will save on running costs. The most efficient models carry the A++ grade, the least efficient G.
Larger ones generally use more electricity than smaller ones, and chest freezers are slightly more energy efficient than upright ones.